Glance at any major smartphone line, and you’ll find a similar pattern: Screen sizes are getting bigger, year after year, model after model. Let's start with an audit of the world's most famous Android smartphone line—just look at those Samsung phones inch upward in the first chart below. Not to be outdone, HTC has kept pace with Samsung's escalating screen sizes, and Nokia has followed industry trends for its Lumia line as well. Even Apple—which once described its 4-inch iPhone's screen as a “dazzling display of common sense”—appears poised to follow its rivals. The chart below illustrates a lukewarm interest in larger displays, but rumors are leaning toward the introduction of a 4.7-inch iPhone 6 later this year. It’s also possible that just the flagship phones are getting bigger. To determine the breadth of the trend, I calculated the correlation between release date and screen size for over a thousand phones. The chart below shows several hundred of the most popular. As you can see, the trend goes far beyond iPhones and Galaxies. There’s a strong correlation between release date and smartphone screen size. So what's going on here? Why are phones turning into tablets? There's certainly more than one possible story behind this trend. I've distilled the data into five different scenarios, ordered from least to most likely. No matter how many flashy software features smartphone developers bake into a new products, nothing grabs attention like new hardware design, particularly if there’s a bigger display in the mix. The iPhone 5 debuted with LTE support and a new A6 chip, but the updated screen size won every headline. Customers loved the 2013 HTC One’s 4.7-inch screen, but the company couldn’t resist adding another 0.3 inches to the M8. Then there’s Samsung, which followed through on its "Next Big Thing" marketing campaign by steadily increasing screen size on the Galaxy S line, from 4.8 inches (S III) to 4.99 inches (S4) to 5.1 inches (S5). It’s a tidy little theory, but in the end it’s only a theory. There are too many moving parts to conclude that rising screen sizes are all one big marketing strategy, even if bigger screens seem to be selling more phones. The case against Samsung looks strongest, but it’s still too anecdotal. When Apple introduced the first iPhone in 2007, the industry scrambled to replicate almost every aspect of Apple’s design—from the app-icon interface and visual voicemail to the keyboard-less hardware and 3.5-inch screen size. For those first few years, it seemed that Apple could do no wrong. Phone screens may have grown to address consumer demand for more display real estate. It wasn’t until around 2010—with the release of the first Galaxy S and Droid X—that the market had some legitimate iPhone alternatives. Manufacturers seeking to innovate beyond Apple hit on a new insight: iPhone's polish aside, people were desperate for more screen real estate. The rest, then, is history. There’s probably a kernel of truth to this, but the theory is too neat. Both Google and Apple have copied regularly from one another. A more nuanced version of Scenario #2 suggests the smartphone’s increasing screen size resulted from a handful of iconic phones, each of which increased screen size and each of which created a mini-revolution. The Nokia Lumia 1520 made headlines for its size (and its amazing camera). This makes some sense: There might be more than 1,000 phones in the market, but only about half a dozen per year dominate headlines and sales. 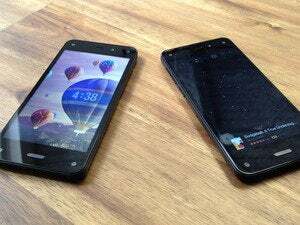 With each successful change (examples: the iPhone 4’s sharper display; the better cameras on early DROIDs), other marquee phones have quickly followed. The same is probably true of screen size. Would something over 4 inches work? The DROID X proved a "big" (for its time) phone could be successful. But what about over 5 inches? The successful, 5.5-inch Galaxy Note II unleashed a whole series of similarly giant phones. For the most popular phones in the industry, the “trendsetter theory” probably explains a few shifts in the market. But it doesn’t fully explain the dramatic, macro-shift we see across the entire industry. In 2007, both pixels and battery life came at a hefty premium. Trying to power a 5-inch display with a reasonably high pixel count just wasn’t a possibility. Today, battery and display technology allow manufacturers to make crisp, 6-inch-plus screens that run for well over a day. It’s the simplest explanation, and perhaps the best one so far. It helps explain why manufacturers wouldn’t touch designs bigger than 4 inches before, but now they churn out 5-inch-plus models routinely. Even in 2007, it wasn’t yet clear that the smartphone would become the staple product that it is today—the sort of device that could one day replace most personal computers. Seven years ago, the smartphone was still a combination of three less significant products: a music player, a mobile web browser, and cell phone. Today, the smartphone connects people around the world like nothing before it. Citizens of third-world countries are unlikely to own cars and computers, but they are rapidly buying smartphones. For many people, the smartphone is becoming their primary computer. So how does this relate to screen size? As smartphones become our primary devices, doing the jobs once held by computers and even televisions, we need a product that can change, like a chameleon, to serve all of these functions. Phablets may not fit into your pocket, but they fit a lot of functionality into what's still a pretty compact device. We’ve ridiculed the so-called phablet (a phone that’s nearly the size of a small tablet), but perhaps we've been headed in that direction all along. Maybe bigger is better.